A few weeks ago I attended the National Stationery Show, the biggest stationery trade show in North America. The National Stationery Show features beautifully designed greeting cards, custom invitations, gift wrap, journals, and more. While each exhibitor had unique designs, unicorns were a huge trend in the market!! From cards to coffee to clothing, everyone'es getting in on the action. There's something quite magical about unicorns and we wanted in! 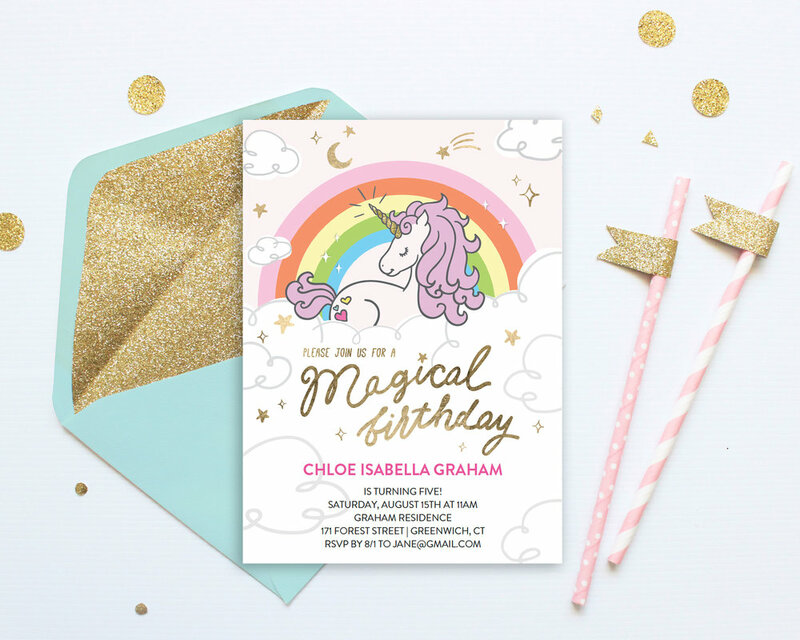 Check out these beautifully designed unicorn birthday invites, especially popular among young girls. Purchase for just $5.95 to instantly download and customize! Here are a few of our initial sketches. And now for our final designs!! Buy and download these beautiful, customizeable templates and embrace your inner unicorn!